Information deemed reliable, but not guaranteed. Interested parties should confirm all data before relying on online information to make a purchase decision. Price(s) include(s) all costs to be paid by a consumer, except for licensing costs, registration fees, and taxes. All prices and/or specifications are subject to change without notice. Price Varies based on trim levels and options. Please note that all vehicles are subject to prior sale. Online prices are subject to dealership rebates. Select customers may also qualify for additional college grad, active military & customer loyalty rebates. Not all customers will qualify more all rebates/incentives. See dealer for full details. Any discount coupon cannot be combined with any advertised discount or offer; not redeemable for cash, cannot be applied towards prior purchases. Some Pre-Owned vehicles are prior rental or commercial vehicles. This may be verified by checking the vehicle’s carfax history report. Prices may not include finance charges, preparation fees, inspection fees, emission testing, and compliance charges. There may be an addt’l $795 to vehicles financed with certain lenders. Dealership makes no representations, expressed or implied, as to the accuracy, description, or condition of the listed vehicle’s equipment, accessories, price, specials, or warranty. In order to honor the online advertised price, customer must print vehicle listing and present it at time of arrival at the dealership, and acquire manger’s signature on printed listing. 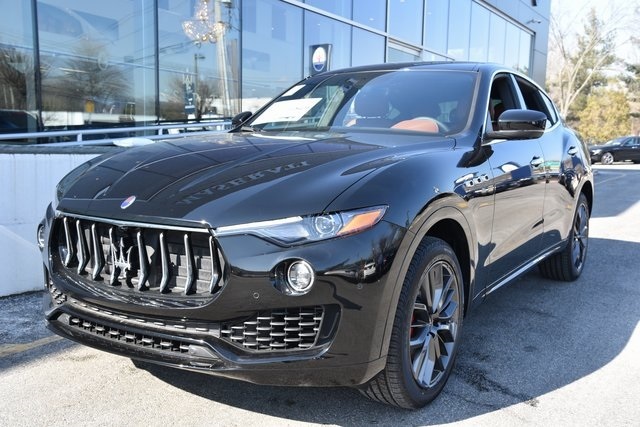 Nero 2019 Maserati Levante AWD ZF 8-Speed Automatic 3.0L V6 20" EFESTO MIRON-DARK GREY, 4-Wheel Disc Brakes, 8 Speakers, ABS brakes, Adaptive suspension, Air Conditioning, AM/FM radio: SiriusXM, Anti-whiplash front head restraints, Auto-leveling suspension, Automatic temperature control, Blind spot sensor: warning, Brake assist, CD player, Dual front impact airbags, Dual front side impact airbags, DVD-Audio, Electronic Stability Control, Four wheel independent suspension, Front anti-roll bar, Front Center Armrest, Front dual zone A/C, FULL NATURAL DRILLED LEATHER, Gloss Red Painted Brake Calipers, Low tire pressure warning, Memory seat, Navigation System, Occupant sensing airbag, Open Pore Radica Wood Trim, Overhead airbag, Power driver seat, Power Liftgate, Power steering, Power windows, Radio data system, Radio: Maserati Touch Control Plus, Rear anti-roll bar, Rear window defroster, Remote keyless entry, Speed-sensing steering, Steering wheel memory, Steering wheel mounted audio controls, Traction control, Ventilated Front Seats. There’s nothing like a Maserati. 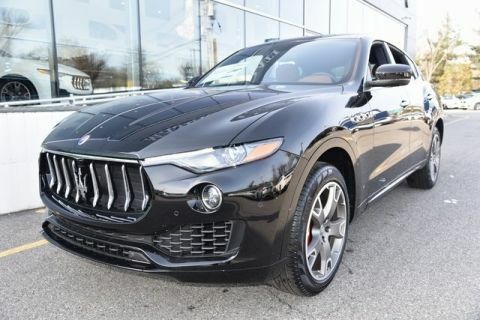 And there’s no place like Maserati of Bergen County to buy one. Why? Because no one rolls out the red carpet for clients like we do. Notice we said clients, not customers. That’s because we treat you professionally, with respect, care and the attention you deserve. 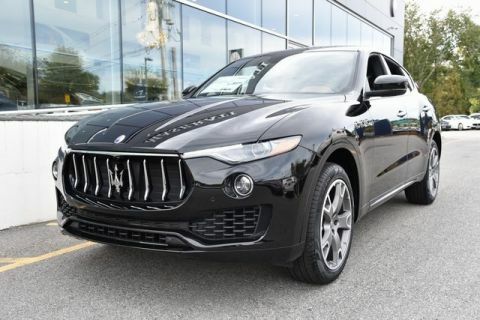 A Maserati is no ordinary car and you’re no ordinary customer. 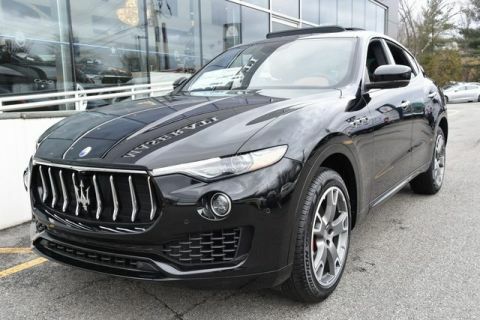 We want your new Maserati to fit you like a glove. Your satisfaction is what counts most to us. 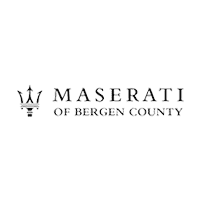 Maserati of Bergen County	41.0468414, -74.1168113.